The consumer group Which? says not all firms are complying with rules limiting charges for credit and debit card use. Since 6 April new rules say firms should only charge what it actually costs them to process a payment. The Office of Fair Trading (OFT) estimates this at about 2.5% on credit cards and about 50p on debit cards. But some customers say not all firms are complying, says Which? - which adds that consumers who feel they are being overcharged should complain. Richard Lloyd, Executive Director, Which? Many firms have changed their charging policies to comply with the new rules but some at least do not appear to have done so. Since 6 April customers have been contacting both Which? and Radio 4's Money Box to complain. Richard Lloyd, executive director of Which?, told Money Box that firms had to act: "We've had a huge response from people who are saying companies still seem to be charging excessive surcharges. Now it's a question of how well this can be enforced and that the clampdown actually happens." Some travel firms in particular still seem to be charging a lot more for credit card transactions than the OFT guidelines indicate. Brian from Tyne and Wear booked two flights costing £688 with the firm Jet2. He wanted to pay on his credit card because of the extra consumer protection that offers. When he was told he would be charged £27.52 he changed his mind: "When I looked for what they were charging for a credit card, they were going to charge 4%. But it's not on, it's not what the Office of Fair Trading has asked for and it's not what these companies should be doing." In the end, rather than pay the 4% charge, Brian paid on his debit card, which was free to use. 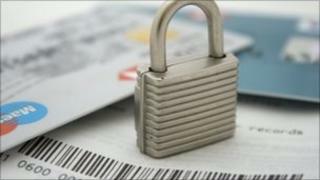 But Money Box has found that a number of travel firms are still charging debit card customers considerable sums too. Although the OFT says the charge should be no more than about 50p, Jon from Newcastle paid about £32 when he booked his holiday through the independent travel agency Purple Travel the day before the rule change, a charge which he saw still applied when he checked the company's terms and conditions after the deadline. "I would like to see holiday companies and all companies follow the route whereby what you see on the web or what you hear when you talk to them is the final price you pay," he said. Purple Travel is part of the Hays Travel Independent Consortium. John Hays, Chief executive, Hays Travel. John Hays, the chief executive of Hays Travel, was unaware that one of his members was still charging 2% on debit card transactions and 3% on credit cards until Money Box told him. He said he would make changes: "That's totally unacceptable, I apologise. We will take steps to ensure that Purple do not charge this sort of fee going forward." But whilst Purple Travel is set to change its ways, another travel firm Money Box contacted, which is also still charging a percentage fee for debit card transactions, showed no signs of following. A customer of lowcostholidays.com complained to Which? about being charged £8.45 on a debit card transaction, equivalent to 1.25% of the cost. The firm defended the charge, even though it admitted the banks only charged it between 60p and £1 to process a debit card transaction. It said: "There are significant system development, maintenance, processing and support costs which are incurred to support the secure technology between lowcost's systems and the banks' systems. All of these costs have to be included in the cost of the holiday." The Department for Business, Innovation and Skills says Trading Standards Officers and the OFT will be enforcing the ban on excessive payment surcharges. The government says consumers are entitled to receive a refund and can if necessary bring a private claim to get their money back. Money Box is broadcast on Saturdays at 12:00 GMT on BBC Radio 4 and repeated on Sundays at 21:00 GMT. You can listen again via the BBC iPlayer or by downloading Money Box podcast.